Well I've not posted anything for quite some time, not on my blog at least. I do post quite regularly on my Facebook page, though even that's been rather quiet as of late. I have been fishing, though there's been nothing exciting to report. The weather is unseasonably warm and the sea temperature is still too warm, certainly for the Cod. I recently had a trip over to Ireland that was sadly a bit of a disaster on various levels, though that certainly wasn't down to my host/guide and good friend Graham Smith. 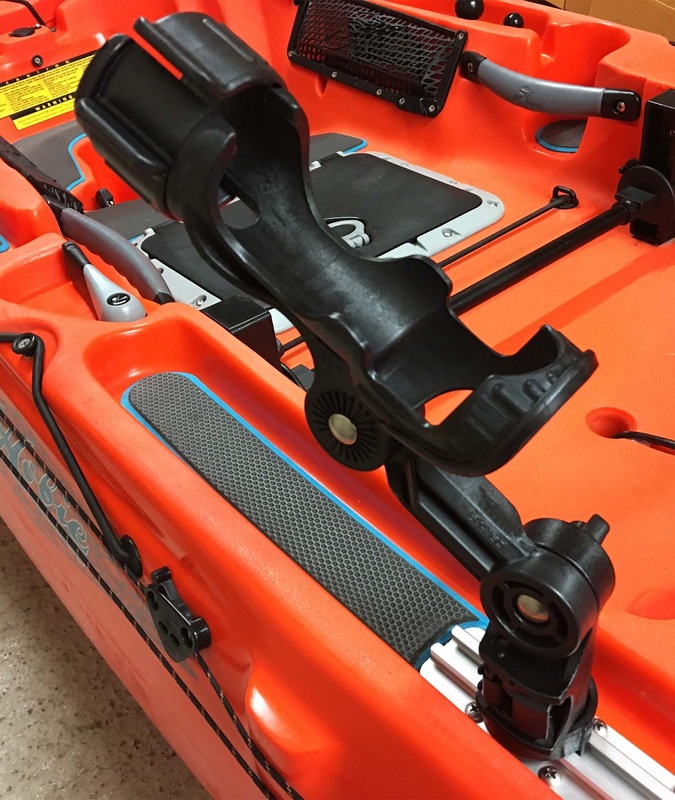 I've been using the RAM 119 rod holders, both plastic and aluminium, since I started kayak fishing in 2007. I've tried a Scotty rod holder, though I just didn't get along with it at all. There's always been issues with being able to be sufficiently tighten down the RAM rod holders, some purchased items have been more effective than others. Though over time, wear and tear takes its toll and they become even less effective. Hence I decided to upgrade my rod holders after 11 years and that's quite a tall order. I've been YakAttack Pro Staff for many years, since the beginning in fact, so it made sense to look there first for a suitable replacement. I know a few people who loved the original Zooka rod holder, though that's about to be updated in the very near future. The current offering is the Omega and Omega Pro, the latter having the addition of an extension arm. 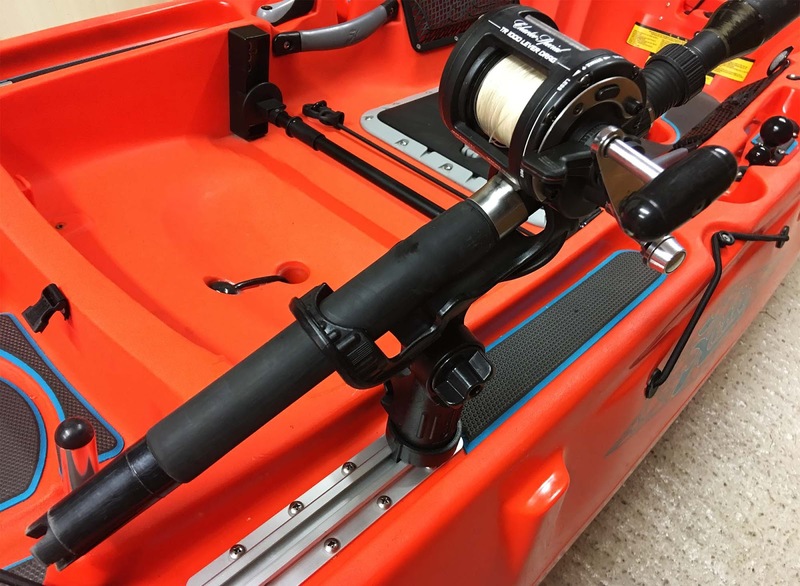 This arm is removable as required, hence purchasing the Pro provides the user with some flexibility as how best to use to rod holder to suit the type of fishing. It's been designed to be used to spinning reels, baitcasters, multipliers and even fly reels... perfect. 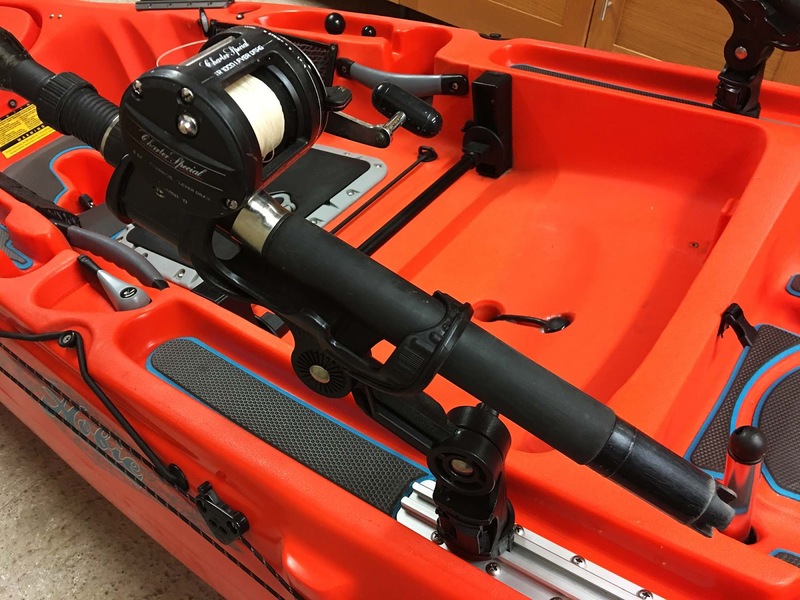 As I'm currently rigging a Hobie Outback Limited Edition (LE) for my son, I decided to purchase 4 YakAttack Omega Pro rod holders along with some extra GearTrac as my stocks were exhausted. That enabled me to replace my RAM holders on my own Outback whilst equipping his with the same setup. It just keeps everything simple and more importantly fully interchangeable. I've done exactly the same with the electronics, either kayak will take Lowrance units from the Elite upwards. My biggest concern was strength, followed by adjustibility. I'd read somewhere that perhaps these rod holders were better suited to lighter rods, though having sat my saltwater outfits into these holders I'd definitely disagree. From previous experience I kind of expected these rod holders to be somewhat over-engineered and I wasn't to be disappointed. Any concerns I have may have had regarding their strength quickly evaporated after dropping a rod/reel combo into the rod holder. I did have to remove the rotating locking ring to accomodate my larger outfits, though that's of no concern to me whatsoever, if for no other reason that my rods are always leashed. I was fishing with someone quite recently who refused to leash his rods, despite me offering him a leash for every rod his was using. After the first trip out he returned without a rather expensive rod/reel combo. Oddly enough he leashed his rods for the next trip!!! So the Omega Pro is certainly strong enough for what I'd consider to be a medium weight saltwater outfit. With the extension arm removed (standard Omega rod holder setup) it's perhaps a little more rigid as you'd expect, though this comes at the cost of height. I guess it depends on your requirements. 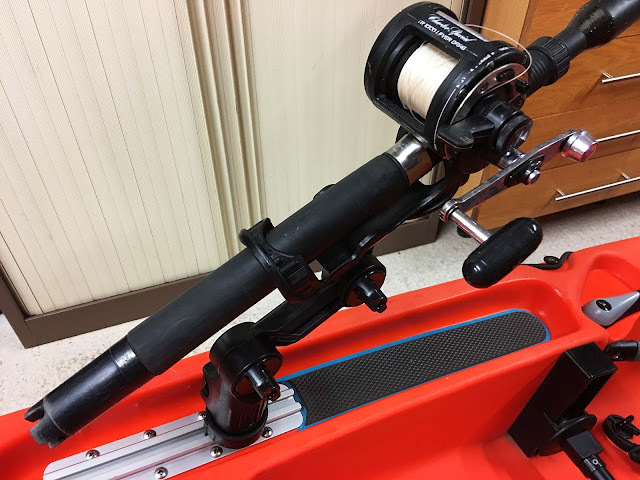 I think that for bait fishing I'll perhaps use the standard Omega setup with the rod holders either side of the seat (armchair style fishing). If trolling, I'll mount them ahead of me with the extension arms fitted so I can use the extra reach to have the rods pointed away from the kayak, keeping the rod butts clear of the Hobie mirage drive. Though what about adjustibility?. This is one area where the Scotty rod holders really disappointed, hence they never got used. The RAM holders had 'infinite' adjustibilty, though couldn't be reliably locked into position. The Omega rod holder is very effective!. It attaches to a length of GearTrac using the Lock n' Load feature, with the base being attached first with the use of an integrated MightyBolt (T-bolt). 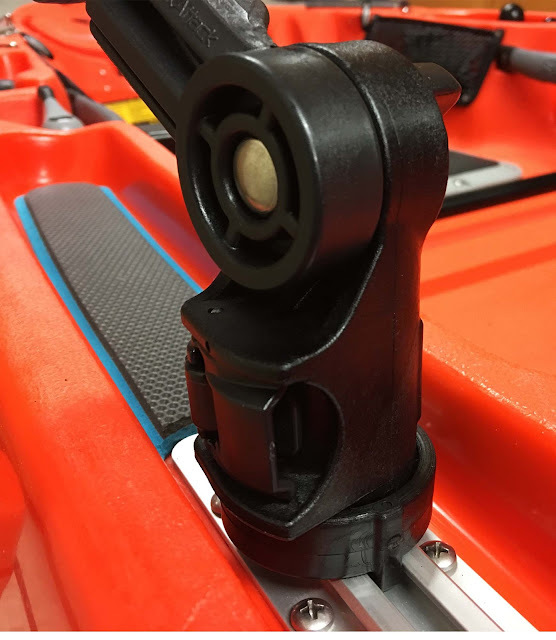 This takes but a few seconds and it can be left on the kayak with the rod holder removed... this is how I intend to use it. 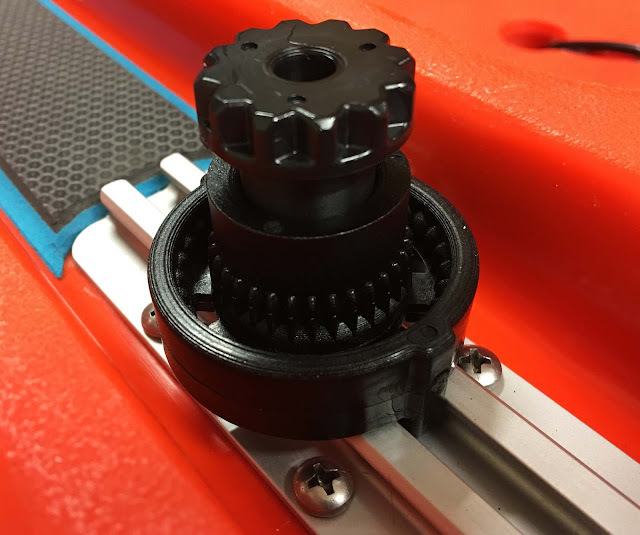 Notice that the base locks into the GearTrac so that it's unable to rotate under load, now that's a great feature. 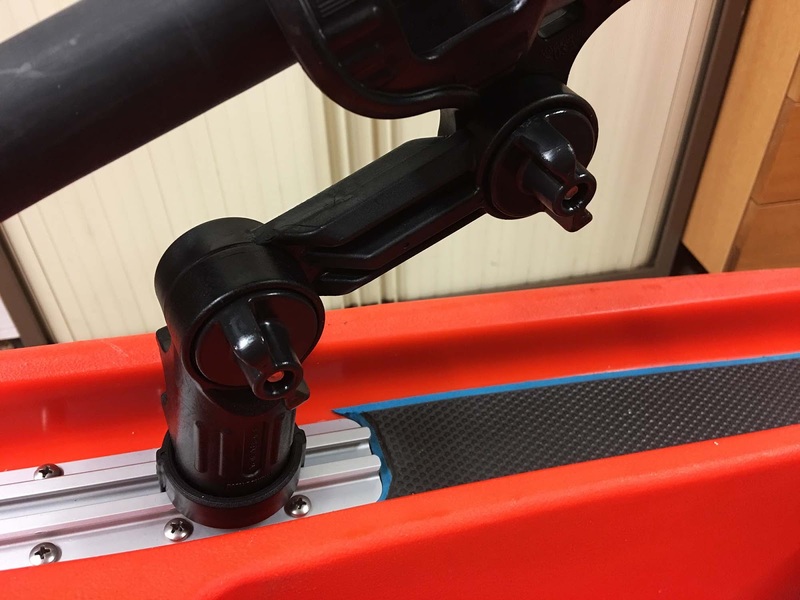 The rod holder is attached to the base with a trigger system, depressing the trigger allows the rod holder to be raised and rotated into many positions before locking it back down with a push. Whereas lifting the same trigger allows the rod holder to be removed (watch the YakAttack video at the end of this post). Locking knobs on the extension arm allow it to be moved and locked solidly into several positions. It's certainly very adjustable!